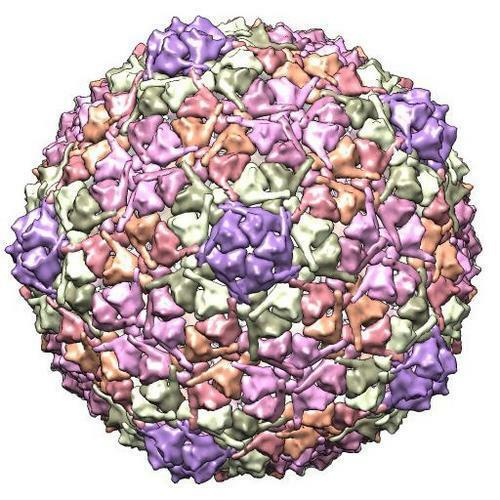 Viruses that infect bacteria have a protein shell that forms a “head” shaped like a polyhedron with 20 triangular faces. Inside the head, the virus’s DNA is packaged very tightly – almost as dense as a crystal – and under great pressure. When a virus binds to a cell that it infects, the pressure is released through a small hole, or portal, in the virus head. Then viral DNA is rapidly injected into the cell. Leonid Minakhin, of the Waksman Institute of Microbiology, contributed to the study, along with scientists at the University of York in England, U.S. National Institute of Arthritis Musculoskeletal and Skin Diseases, Skolkovo Institute of Science and Technology in Russia, and University of Leeds in England.